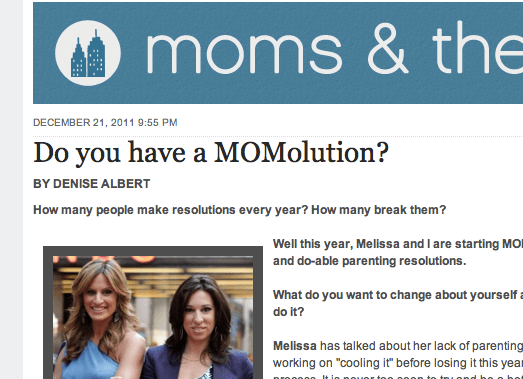 My new friends Denise and Melissa asked me for my 2012 MOMolution(click to read it). Basically – what’s the one thing I hope to accomplish with my children next year. I had no idea it was going to go on the Daily News’ website – what a nice surprise! It got me thinking – does everyone make MOMolutions? And if so, what are they?